In light of the situation with the Heritage Hills Waste Water Treatment Plant and the delayed opening of DeCicco’s, many residents are questioning why the project has taken so long. I wanted to provide some context and accurate information to the public. Currently, DeCicco’s is waiting for the treatment plant to complete some upgrades to their system in order to obtain the necessary approvals from the Westchester County Health Department. 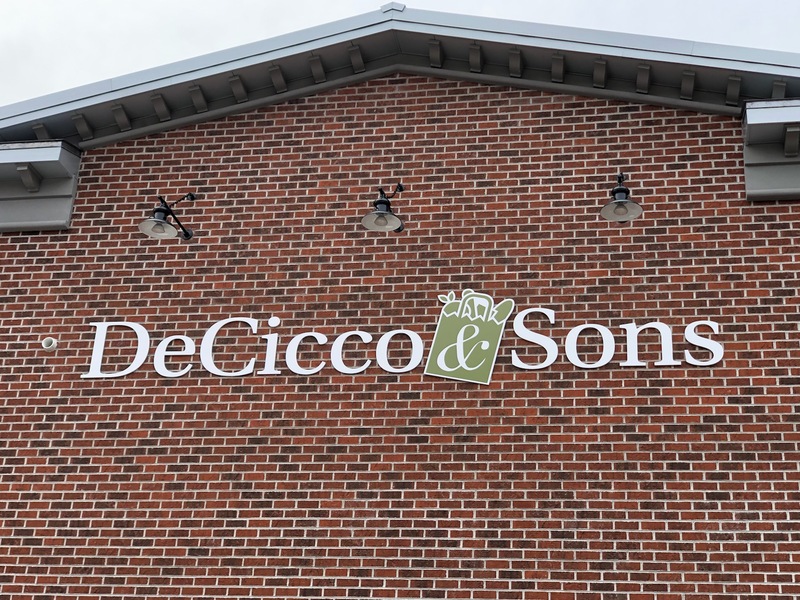 Once secured, DeCicco’s is authorized to connect to the system and the town can then issue a certificate of occupancy.The work is underway and DeCicco’s is estimating an opening date between May and July. The difficulty in nailing down an exact date, as DeCicco’s has described, is that there are variables involved. The work itself is projected to take 4 weeks; the Health Dept. review and approval is dependent on their workload; and the store needs time to clean and stock its shelves. The certificate of occupancy can be granted immediately after Health Dept.approval. When an entity such as DeCicco’s wants to connect to the sewer system they develop an agreement with the HH Waste Water Treatment Plant. Since the facility is privately owned, the town is not a party to the terms of the agreement (pricing, construction/connection timeline, etc.). The applicant must then submit a request to the town to join the sewer district. As it relates tot his project, DeCicco’s entered into an agreement with the HH Waste Water Treatment Plant and secured approval from the town to formally enter the sewer district. All involved parties did this knowing that the treatment plant was in the process of upgrading its system. The simplest way to describe what happened is that the state/county approval process and upgrades to the sewer plant are taking longer than expected; and, the DeCicco’s construction timeline had the project completed before the plant could accept its connection. Both the HH Waste Water Treatment Plant and DeCicco’s had to work through a myriad of approvals to satisfy NYS Department of Environmental Conservation (NYSDEC) and Westchester Department of Health requirements. Throughout this process, the town has worked closely with DeCicco’s, Westchester County Dept. of Health, NYSDEC,and the sewer plant to navigate these issues. The maintenance and upkeep of sewer plants are complex and expensive. In some municipalities, sewer plants/systems are owned by local governments; however,the HH Waste Water Treatment Plant is privately owned and operated. Once fully upgraded, the plant will have excess capacity for future connections of residential and commercial properties. Why is this important? Well,historically properties in our area have relied on septic systems for waste treatment, which limits potential uses of commercial properties, limits the ability to expand/renovate homes, and can have negative impacts on the environment.Lifting these limitations helps to strengthen property values and our tax base.In northern Westchester and Putnam County sewer/ water plants and infrastructure are a rarity. That has turned the HH Waste Water Treatment Plant, and its excess capacity, into a highly sought-after commodity for both private entities and municipalities. For example, a proposed development project in another county recently sought to secure the additional capacity at the plant, which would’ve stopped the ability for projects in Somers to connect to the system. In another case, a local municipality inquired about connecting one its neighborhoods to the system. Fortunately, decades ago the town of Somers created a sewer district mandating that any entity seeking to connect to the HH Waste Water Treatment Plant, regardless of the fact that it’s a private organization, must obtain town approval. This has enabled the town to protect the excess capacity for projects within Somers, ultimately benefiting local businesses and our residents. Like all waste water utilities, the treatment plant is regulated and permitted by the NYSDEC. As a private sewer operator, the HH Waste Water Treatment Plant does not have the same mandatory reporting requirements as public systems—a situation that can be frustrating. It’s important to note that if violations are a threat to public health, the Westchester County Health Department, local municipalities, and the public are alerted. The facility has a permitted capacity of 702,000 gallons per day, but it operates at around half that amount. Historically, capital costs and upgrades at the plant have been funded by the New York City Department of Environmental Protection (NYCDEP) as it operates within the NYC watershed. Around 2006, the NYCDEP mandated that the HH Waste Water Treatment Plant implement a sand filtration system. The system limited the plant’s capacity and resulted in accusations that the design caused issues with its operations. In recent years investments have been made at the plant to upgrade the system, allowing it to operate at full capacity. The decision to do so has led to a variety of interested parties seeking to connect to the system. The HH Waste Water Treatment Plant is close to completing its upgrades, which includes the installation of pumps and other infrastructure. In addition to DeCicco’s, the Somers Towne Shopping Center, currently on a septic system, is in the process of developing an agreement with the sewer plant and has submitted a request to join the sewer district. An upgraded HH Waste Water Treatment Plant will have the capacity to take on other commercial and residential properties in the future, potentially also including Lake Lincolndale and Lake Shenorock. In the long run having a viable sewer plant in our backyard, at no expense to taxpayers, could prove to have positive impacts on property values, the tax base and our local environment.